Just to let everyone know, Wendy from Deppys is now cooking at Venue on the main Kalamaki strip, same fabulous food including her famous Sunday roast! 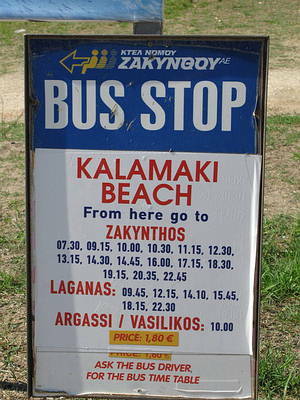 Just returned from 2weeks in kalamaki and ate at deppy's everyday. It is the best breakfast and snacks in kalamaki by far darren and wendy are the nicest people you will meet and they are very helpful and freindly. Sunday Roast is a must and i cant wait to get back for one. 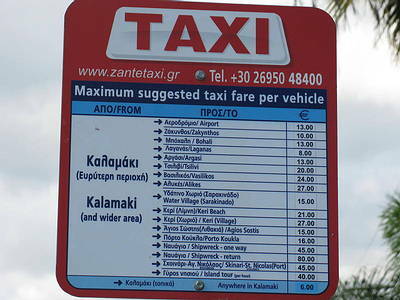 My partner and I visited Zante in August for a two week break and stumbled accross Deppy's early one Sunday morning. We were greeted with a warm, friendly smile and felt incredibly welcome from the moment we stepped in! We enjoyed a fab breakfast and returned later for a brilliant Sunday lunch! Great value for money and excellent food! We have just had a 2 week family holiday in Kalamaki for our mothers 60th birthday, to wich most mornings we had breakfast in Deppys.......and what a fabulas breakfast it was, consistantley excelent. We were also fortunate to have Wendys Sunday lunch,again fab. She talked us into trying this chocolate cake that she and her husband make between them BIG MISTAKE!!!! !i think our little group kept her busy baking for while. Chocolate cake for breakfast a DEFINATE must try!! Also Rona deserves a mention the pair of them are a bit of a comedy duo, just the tonic you need after a good night out while your eating your bacon and eggs.....WELL DONE GUYS!!!!!!!!! I've had two holidays out to Zante this year and I visited Deppy's every day at least once. Wendy and Darren are so welcoming and full of useful advice about the island. Wendy wasn't impressed though because most mornings I got my coffee off Darren before she got one. Would recommend Deppy's to anyone who enjoys great homemade food and English breakfasts, also great company. Awesome, as always, first visited Deppys in 2006 and was back this year, from July 22 - 29. Best brekkie, by far and Wendy is the hostess with the mostess. However, she is without doubt the worst photographer ever! Check this one of me. She did manage one good one though. If you're visiting Kalamaki, then a trip to Deppy's is a must!! Have just returned from a week there and my friend and i ate there everyday without fail!! The owners are fantastic and make you feel so welcome it's a home from home, and the Sunday dinner's are absolutely GORGEOUS!!! Put it in your diary, it's like being back at home, and it's all completely homemade.......Definitely have to try it!!! On our first "morning after the night before" we stumbled in to the warmest welcome and was given the best breakfast, and was really looked after by Wendy!!! Perfect way to cure a hangover and a perfect start to the day and extremely reasonable prices!! Great value and great food!!!! You won't be disappointed at all, great service, always served with a smile, and can't wait to get back next May to see Wendy and Darren!!!! We have just returned from 2 weeks holiday in Kalamaki and I just had to put a note on here to tell you about Deppys. Its the ONLY place ont he island to have a proper Breakfast, they also give you a lovely warm welcome and are more than happy to spend some time telling you about the best places to visit (and which ones to avoid). So if its a hangover cure or a belly busting brekkie the head down to Deppys. Just returned from Kalamaki full of Wendy and Darren's grub. If home cooking, friendly host and a full belly is what your lookng for then Deppys the place to go. Don't leave Kalamaki without a visit. Only found this retaurant on our last day, if i had found it sooner i would have been eating there every day of our holiday, the breakfasts are the best on the island by far and well worth the money and the host (Wendy) is lovely and friendly she made us feel right at home, me and my family go to kalamaki every year, so i know we will be making a return visit to Deppys next year, give Deppys a try you won,t regret it. p.s you were right Wendy, Michealos was lovely and worth waiting for. See you soon Wendy, Darren + Rhona, have a great summer! We've just returned from two weeks and have to say that Deppys is the absolute place to go for breakfast and Sunday Roast (even on a Wednesday!! ) the cauliflower cheese and yorkshires are to die for. Wendy is an absolute star the kids loved her as much as they loved her sausage mash and gravy. There's a big warm welcome for everyone and when you've been there once you just wanna go back again and again. Best breakfast in Kalamaki by a mile!